HeadAmp’s entry-level desktop makes us rethink what a $500 amplifier can sound like. The term “reference equipment” might be a bit overused in the personal audio hobby. Often times, it is simply a substitute for our “best” gear, but what should a true piece of reference gear really be? Neutral? Definitely! Transparent to all the gear in your chain? Unquestionably! Able to drive anything from IEMs to all but the most difficult planars? Indubitably. The HeadAmp Gilmore Lite Mk2 makes a very strong case for the feature photo next to the term “reference amplifier” in the Encyclopedia Britannica. 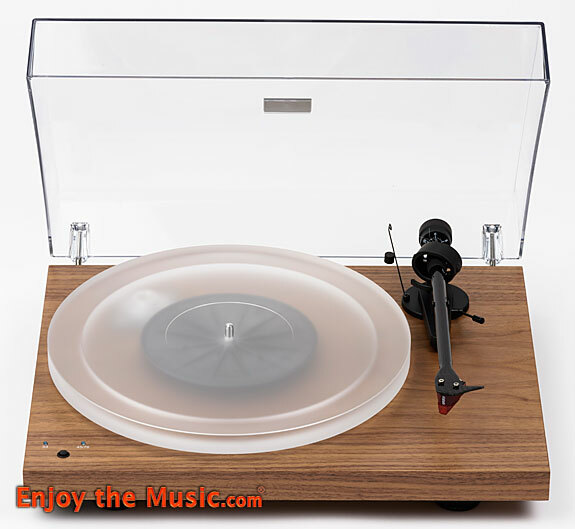 At $499, it is reasonably priced, astoundingly capable and it is completely transparent to the gear around it. It is the perfect control group: an amplifier that doesn’t editorialize the sound, it just provides the precise amount of power your headphone needs in an instant – all Class-A, up to 1.5W into a 50 Ohm load. But the Gilmore Lite Mk2’s attributes as a piece of reference gear don’t end there. The amplifier also provides a Swiss Army knife-like set of tools: dual inputs that can easily be swapped with the flip of a switch, an excellent preamp out, a premium Alps Blue Volume Potentiometer that is perfectly balanced down to the lowest volumes, and a compact form factor to boot. As a reviewer, you can probably imagine how much I love all these bells and whistles. And once you figure in its top-flight performance and transparent, colorless signature, the Gilmore Lite Mk2 really makes comparing different equipment a breeze. But our preconception of “reference” and “neutral” might not always be 100% positive. The real question that remains is, is this an amplifier that we can truly enjoy? Can an amplifier that is neutral and colorless fully entertain us on a subjective level? Spoiler alert: the answer, in this case, is a resounding #&@% YES! Without further ado, let’s take a closer look at the sound. The first things that really strike me about the sound of the Gilmore Lite Mk2 are the crispness and immediacy of the sound. Attack and decay are absolutely top notch here. To me, this is solid state done right. There is no sag whatsoever in the amplifier, it is absolutely lightning quick. Notes are never hazy. They are rock solid and spring forth from the amplifier with what can only be described as “extreme confidence” with a precise entry point, bold body and a no-nonsense exit point. On top of the crisp delivery, the inner resolution of each note is absolutely stunning, as if it was plucked on the instrument right in front of you. Listening to California Guitar Trio’s rendition of “Yamanashi Blues” from the album Highlights puts the pulse pounding immediacy of the Gilmore Lite Mk2 on full display. Every note fires with a crispy clean sheen, rising and falling exactly as it should with nothing added and nothing taken away. The sense of PRAT here is absolutely perfect – the amplifier never rounds off a transient or lingers a little too long – in turn, there is a very tactile and rhythmic feel to the music from the microdynamic texture of the song. Each subtle gradation in volume is reproduced with stunning accuracy, which really allows the artist to take you on a journey from note to note. Like HeadAmp’s Blue Hawaii and GS-X Mk2, the overall sound of the Gilmore Lite Mk2 is extremely neutral and transparent. In my experience, all three amps will really take on whatever character your DAC imparts on them, and for this reason, I find HeadAmp gear is actually quite useful in deciphering the differences between DACs. I actually learned some interesting subtle tonal differences between the Kitsune Holo Audio Spring DAC Level 3, Schiit Yggdrasil and Chord Hugo 2 simply due to the Gilmore Lite’s lack of coloration. I find this very impressive for a piece of $499 gear, as most amplifiers in this range impart a lot more of their own color onto the sound. This amplifier will definitely do a better job of scaling with high-end sources than most of its similarly-priced counterparts. Bass is set right where it should be – no bloat, but not even a little bit anemic either. It’s just right. Subbass is well extended, though amplifiers with a larger power supply like HeadAmp’s GS-X Mk2 will provide a bit more overall heft in that area, especially with more demanding planar magnetic headphones like the Audeze LCD-4 or Abyss AB-1266. Still, comparing against similar-sized amps, the Gilmore Lite usually had a slight edge in extension and solidity giving it a little more warmth without the bloat. The same can be said for the midbass, which is fast and impactful with very good inner resolution. The midrange is neutral without any awkward emphasis on the upper mids or extra warmth in the lower mids. They are just dead-on neutral to the recording. In terms of tone, I think the Gilmore Lite falls well above average. Compared to the Wells Milo ($1,699) the Gilmore Lite didn’t quite possess the same level of organic musical sweetness, but that’s a $1,200 leap in price. Even still, I can’t fault what the Gilmore Lite was doing as “wrong” here, it was just a bit drier. Compared to the iFi iDSD Black Label ($599), the Gilmore Lite was a clear step up, showing much better coherency, balance, musicality and purity of tone throughout the range, making the iDSD sound a little unsophisticated by comparison. The treble is well-controlled and manages to avoid the unnecessary shrillness and sibilance that plagues many other sub $500 amplifiers. The upper treble is wide open, airy and transparent, another trait that really makes this amplifier feel like it belongs in a higher price bracket. The word I keep coming back to again and again is “sophistication”. $499 amplifiers simply do not sound like this. The soundscape is a very good size, with strong imaging and channel separation. Width is pretty similar to the Cavalli Liquid Carbon ($799, discontinued), which is to say it is outstanding for a sub $1,000 amplifier. It has a good sense of depth to it as well, with some nice layering you might not expect from a solid state. Don’t expect the same kind of deep expansiveness of good a tube amplifier, but as solid states go, the depth is very, very good. The clean attack and decay properties also seem to help with the instrument separation and imaging, as each instrument is very “solid” and defined, leaving the stage feeling well organized with strong localization for each performer. I think this is another area where you could call it a “reference-level” performance. Everything is exactly where it should be, with no frills or B.S. to obfuscate the recording. Another attribute I love about the Gilmore Lite MKII is its inky black background. With any full-sized headphone, it is pretty much dead-silent. To really put it to the test, I paired it with the ultra-sensitive Campfire Andromeda ($1,099), which will find the noise floor on just about anything. I was able to hear just a very, very faint amount of hiss without any music playing on the Campfires. For comparison’s sake, the Gilmore Lite MK2 was far, far quieter than the Chord Hugo 2 or Mojo, but did have a touch more hiss than iFi’s iDSD Black Label, even without the IE Match engaged. Once the music started, however, any hiss became unnoticeable on the Andromeda and a masterful performance ensued. Sonically, these two are an incredible match, with a perfect tonal balance, full bass and gobs of detail everywhere. This might very well be the best I’ve heard the Andromeda’s sound and I would absolutely recommend this combo. Going to the other end of the drivability scale I paired the Glimore Lite MK2 with the decently hard-to-drive HiFiMAN HE500. The amplifier drove the headphones very well. Listening to Broken Bells’ self-titled debut album, Danger Mouse’s artfully crafted instrumentals pulsed with authority and layered out with the level of sophistication I would expect from a much more expensive piece of gear. Another test passed with flying colors. In fact, in my time with the amplifier, I can’t say I found a truly bad headphone pairing for it. As long as you have a good source feeding it, the amplifier will deliver a killer performance with just about anything. It is rare that I come away so impressed with a piece of gear. While many other amplifiers struggle to overcome basic issues like cheap parts, inconsistent volume controls, sketchy build quality, etc., here comes a really nice piece of gear that does absolutely everything well for the very reasonable price of $499. I applaud HeadAmp for their attention to detail and quality in the build – it is thorough and if there is a weak spot, I haven’t found it yet. This is the polished, professional level of quality I wish we could expect from every manufacturer, but alas, that is not the case. Note that if you’re looking for a little extra color, tubey-ness or forgiveness from your amplifier, you’re not going to find it here. This is hard-core solid state done right, and it definitely benefits from a good source. But that being said, the Gilmore Lite Mk2 does pair well with some notoriously finicky headphones like the Sennheiser HD800, which benefits greatly from the HeadAmp’s technical prowess and iron-grip of control on the treble. It’s a combo I wouldn’t hesitate to recommend. I also found the synergy with the MrSpeakers AEON Flow to be top notch, and I’d make this my top recommendation for pairing with that headphone. If you’re looking for a top-flight solid state that can drive just about anything and don’t want to shell out big bucks, I can’t recommend the HeadAmp Glimore Lite Mk2 highly enough. This amplifier is the real deal.